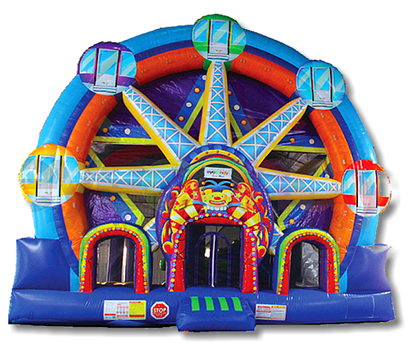 Enter into this beautiful bounce to begin your journey of bouncing and playing around the inflatable inner mechanics of a ferris wheel. Electrical Req. 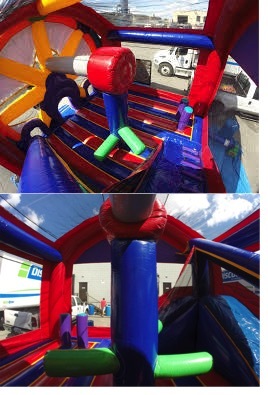 : 2 x 20amp lines of 110volts of electricity w/in 100ft of setup area.